Carolyn Ann Wierzbicki Smith of Athens, Georgia, died Wednesday, April 10, 2019 at the age of 60 at St. Mary’s Hospital in Athens, Georgia. 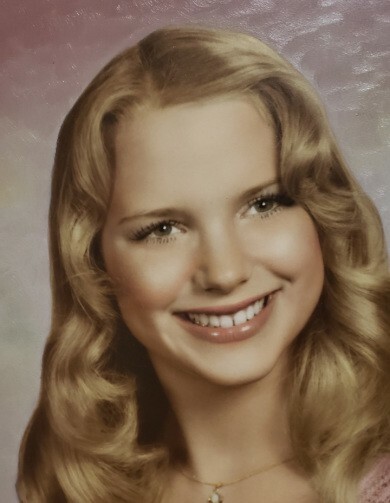 Carolyn was born in Mount Clemens, Michigan on June 21, 1958 to the late Joseph Charles Wierzbicki, Sr. and Henrietta Marie Grombik Wierzbicki. She obtained a Bachelor’s degree and went on to receive a Master’s degree in Special Education from Phoenix University. Carolyn taught in Greene, Morgan and Clarke Counties and she left a lasting impact on many children that she so dearly loved. Carolyn was a member of the First United Methodist Church of Madison after she moved to Lake Oconee from Smyrna, Georgia almost 27 years ago. During the holidays and when she had time she would make the best pierogies that everyone loved. She also enjoyed dancing with her friends, playing golf with her sons and taking the kayak down the river. She is survived by her sons, Sean Thomas Smith and Adam Joseph Smith, both of Athens; her brother, Thomas J. Wierzbicki Sr. his wife Cathy; her sister-in-laws Barbara Wierzbicki and Cathi Wierzbicki; her former husband Thomas Smith; and many relatives and friends. She was predeceased by her brothers Joseph Wierzbicki, Jr. and Michael Wierzbicki. A service celebrating the life of Carolyn will be held at 1:00 PM, on Thursday April 25, 2019 at McCommons Chapel with Rev. Grady Mosley officiating. Interment will follow in the Greenview Cemetery, Memorial Drive, Greensboro, Georgia 30642 where she will be buried with her parents. The family requests that donations be made to St. Mary’s Hospital Athens GA. McCommons Funeral Home, 109 W. Broad St., Greensboro, GA, (706) 453-2626, is in charge of arrangements. Visit us at www.mccommonsfuneralhome.com to sign the online guest register. There's still time to send flowers to the Celebration of Life at the McCommons Chapel at 1:00 PM on April 25, 2019.